What is OSHA? This is important for companies to understand, and it is even more important to understand the requirements the organization imposes to protect the health and safety of employees. OSHA stands for the Occupational Safety and Health Administration, and its primary responsibility is to ensure employee safety in the workplace. Today, that means more than simply a one-time safety training seminar. In fact, workplace safety should be a subject of regular training, updates, and reminders to ensure that all employees are up to date on new and changing regulations and procedures specific to their individual jobs. By providing a microlearning platform accessible on mobile devices, Axonify does just that. For many years, OSHA stressed the employees’ “right to know” about hazardous chemicals that they may encounter in the workplace. However, a few years ago, the OSHA regulations and standards changed that requirement to instead be a “right to understand.” That edict is much more difficult to meet as not all employees are equally capable of absorbing and retaining complicated safety information. Axonify’s microlearning platform specializes in providing short snippets of safety information on a daily basis for your employees. This constant reminder and reinforcement helps employees better meet this OSHA requirement for understanding. More importantly, it can better ensure that your employees are taking the necessary safety precautions in their jobs to protect themselves. What is OSHA requiring of companies? Not only do companies need to inform and train their employees on safety requirements, but they must also be able to prove that these messages are heard, understood, and retained by their workers. The Axonify Microlearning Platform not only provides a way to educate employees daily but also gives companies the analytic capabilities to track, record, and refine individual employees’ training and progress. Data can be collected on a regular basis to show how the information is being communicated and whether it is being retained through regular employee assessments. Axonify can also determine where employees need more help for understanding difficult concepts and can automatically push out training on these topics. That way, employees get personalized safety training that meets their individual needs. When businesses wonder what OSHA is really asking of them, they can be rest assured that the organization is working to protect them from costly accidents and injuries. Studies show that unintentional injuries come with a large price tag, totaling more than $146 billion annually, for American businesses. This figure includes lost productivity, medical bills, insurance costs, and workers’ compensation. Although most companies have initial safety training sessions, the reality is that employees will begin to forget important information as time goes on. The result can be hefty OSHA fines for non-compliance. 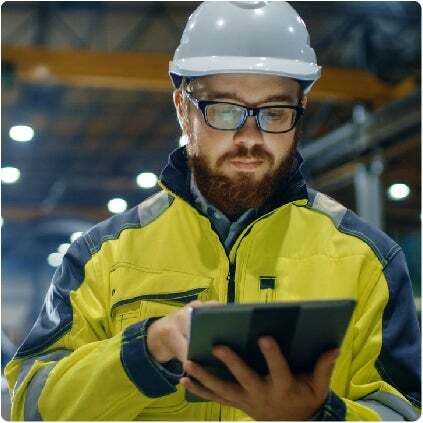 By implementing a microlearning platform that provides short daily lessons in safety, your company can provide real ongoing training that will not only minimize fines but also keep your employees safe and healthy.